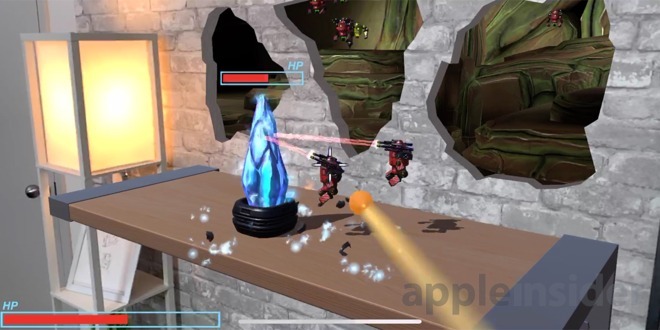 Augmented reality gaming using ARKit is in its second year on iOS, and developers are getting the hang of creating games using Apple's framework. 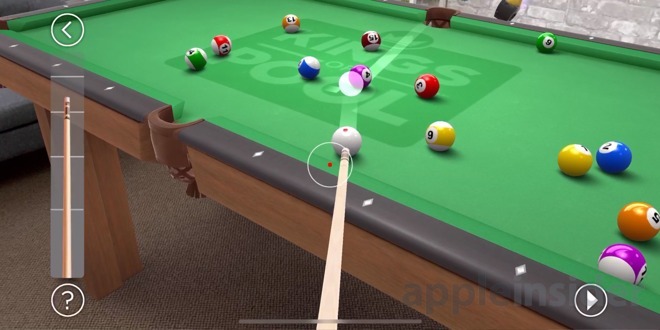 AppleInsider takes a look at some of the top AR games that iPhone and iPad owners should try out on their mobile devices. 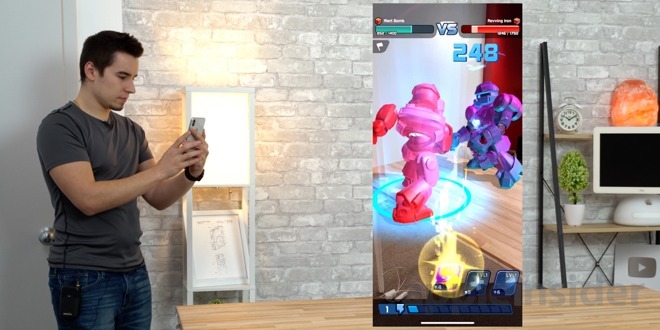 It's been almost exactly a year since the last time we looked at the top augmented reality games for iOS, and there are now a whole bunch of new AR games available on the App Store. ARKit has continued to receive improvements in iOS, especially with the release of AR Kit 2.0 in September. A lot of these games can't really compare to a lot of the top-rated competitive games on the App Store, such as Fortnite and Clash of Clans, but they are still quite enjoyable apps. They are also incredibly fun for kids to play, since the game visually interacts with the real world view on the display, something not typically offered by many big-name games. Here are five you really should download and play. In PlaySide Studios' AR Robot, you can create a completely customizable robot, train him, and fight against other robots. Over 100 million combinations of robot are possible, with over 90 unique robot parts, 60 paints, and a range of power cores available to use. After leveling the robot's skills over time, by playing mini-games to upgrade the robot's strength, defense, and precision, you can also battle the creations of your friends locally to see who has the most powerful robot. The 2D-platform game Flat Pack takes advantage of the freedom of AR by creating levels in three dimensions, with the character able to change their orientation by traversing the area's edges. Each level has collectable puzzle pieces, obstacles to avoid, and boss battles that need to be completed in order to escape. 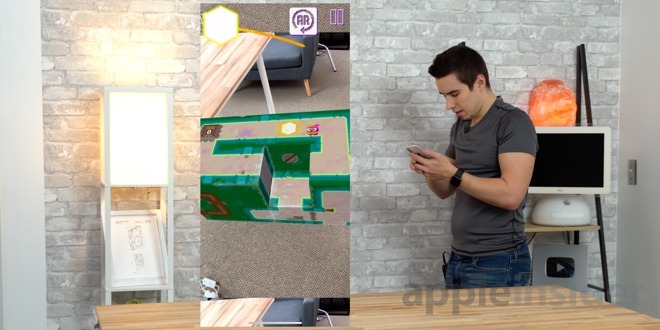 The AR mode brings the level into the real world, forcing players to move around it to see all sides and the path ahead, making it an incredibly fun and interesting game to play. This game is a bit different compared to others since you have to scan a vertical surface instead of the floor for Defend It's AR to work. 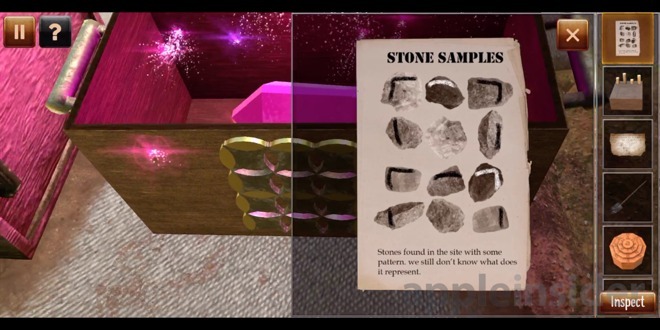 In this AR shooter, you place a virtual shelf on a wall, on which you place a crystal that has to be protected. Waves of robots then fly through the wall to attack the crystal, with each successive wave containing more enemies to ward off. Players must use their iPhone to fend off the attack, upgrading and unlocking weapons along the way to make defense easier. An augmented reality escape room seen through the mobile device, players have to walk around the room to search for clues and hints, as well as keys to unlock special doors and puzzles. All the puzzles in ARia's Legacy are inspectable and can be solved on the mobile device, though clues may be found elsewhere in the environment. It can get pretty difficult at times, but the game allows you to watch an ad for a hint on what to do next. 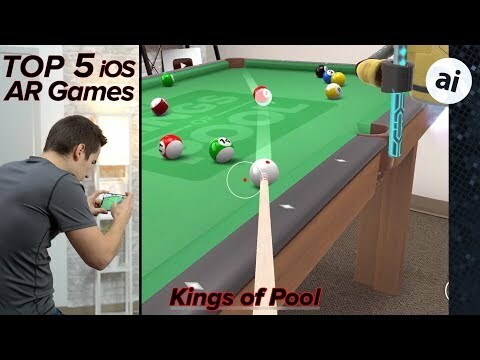 While Kings of Pool has been around for quite some time, Uken Studios has added an AR mode that produces a pool table "in" your room. Just as in the normal version, players can line up their shot on the virtual felt, with the same perspective as if they are playing on a real table. The interesting thing about this game is that you can actually play with your friends on a local network using multiple devices, saving from having to share the same iPhone or iPad between players. Gameplay is incredibly smooth and accurate, and you get spatial audio as well. Some honorable mentions include Dragon Putt, My Tamagotchi Forever, AR Airplanes and Protect Yo Elf. Overall, we're extremely impressed with the improvements that came with AR Kit 2.0, and we're excited to see what the future holds for AR mobile gaming. The technology looks interesting but primitive. The iOS devices look overpowered for the best the App Store has to offer, so when you’re buying Apple’s top of the line devices it’s more for the camera (currently). Maybe when the average iOS device is as powerful as today’s top of the line, more resources will be directed to AR gaming. I figure 2 years (with that) so I have little motivation to upgrade my 2 year old devices.